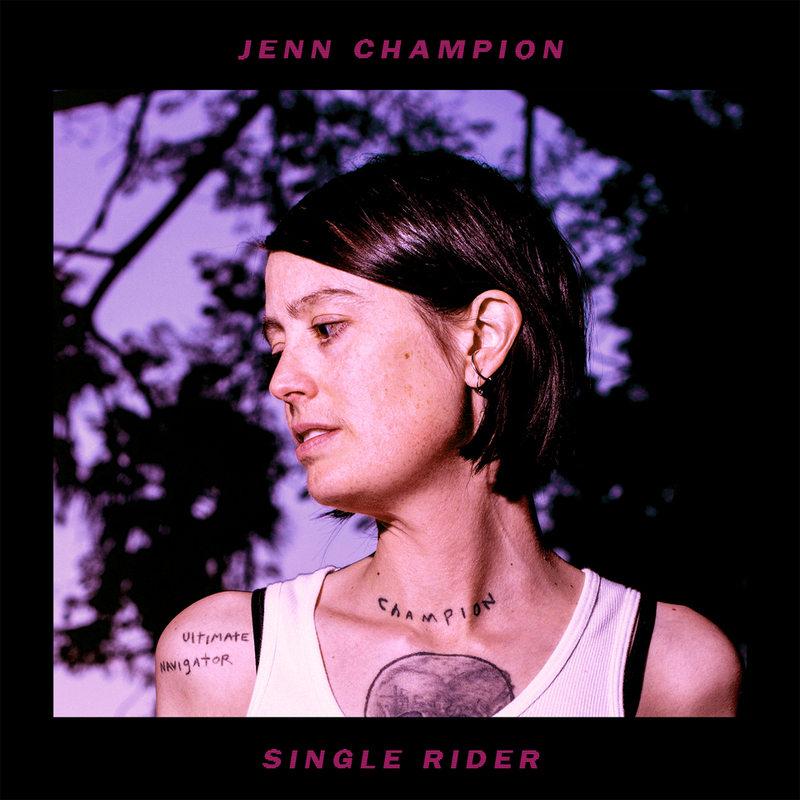 Jenn Champion‘s new album “Single Rider” is due out July 13 on Hardly Art. Jenn Champion, formerly known as S., Jenn Ghetto and also to be a former member of Carissa’s Wierd, is going to release a brand new album, “Single Rider,” this summer. It was made with the producer Brian Fennell aka SYML – the two of them already collaborated on his 2016’s “Hurt For Me” EP¨. I wrote ‘Time To Regulate’ as kind of a nod to boy bands while lyrically trying to get at the feelings of difficulty in everyday life. How at times being a person can feel overwhelmingly good and bad at the same time. Pre-order Jenn Champion‘s album there and check the tracklisting and her upcoming gigs below.